SHANGHAI, Jan. 3, 2019 /PRNewswire/ -- According to the statistics of the China Chamber of Commerce for Import & Export of Medicines & Health Products (CCCMHPIE), China's export of western medicine preparations reached USD925 million in the first half of 2018, growing by 20.16% year-on-year. Western medicine preparations have become the most important variety that drives the pharmaceutical foreign trade growth of China on the premise of slowing down of the overall growth. The warming up of China's political and economic relations with countries along the Belt & Road in recent years has propelled Chinese pharmaceutical enterprises to expand into overseas markets, and the structural adjustment and gradual connection with ICH and WHO guidelines of China's pharmaceutical industry have accelerated the internationalization of China's pharmaceutical preparation enterprises. Under such background, the FDF China 2019 hosted by CCCMHPIE and UBM EMEA and co-organized by Shanghai UBM Sinoexpo will take place in Hall E3 of Shanghai New International Expo Centre (SNIEC) on June 18-20, 2019. The exhibition will integrate Chinese and overseas professional media resources, combine online and offline business models, help enterprises expand channels for brand internationalization, and furnish exhibitors with a platform to enter the international market. China exported western medicine preparations to 167 countries and regions in the first half of 2018, with the proportion of exportation to developed countries in the Europe, U.S., Japan, and Australia reaching 49.3%. Chinese enterprises' exportation has increased largely with the accelerating progress of international certification of preparations in China. FDF China 2019 will not only attract numerous excellent preparation export enterprises in China such as Qilu Pharmaceutical, Shijiazhuang No. 4 Pharmaceutical, Hebei Tiancheng, Cisen Pharmaceutical, Shanxi Zhendong, Nanjing Sannuo, Zhejiang Research Institute of Chemical Industry, Yiling Wanzhou, Hebei Kivipharm, Shandong Qidu, Yangcheng Health, Jiangsu Simcere, and Youcare Pharmaceutical, but also tens of thousands of overseas professional buyers, to join the annual event of the international pharmaceutical industry. FDF and the concurrent CPhI China jointly attracted 60,744 visits of visitors from 120 countries and regions in 2018, in particular, the visits of overseas visitors showed explosive growth to reach 15,329, growing by over 50% than 2017. According to Gong Weizheng, the International Business Director of Shandong Qidu Pharmaceutical Co., Ltd., CPhI China is an international event for Chinese pharmaceutical enterprises to show their images, publicize products, build brands, and develop markets, "We've been joining CPhI China and achieved very good effects this year by expanding the booth into a specially decorated one according to the business development need. 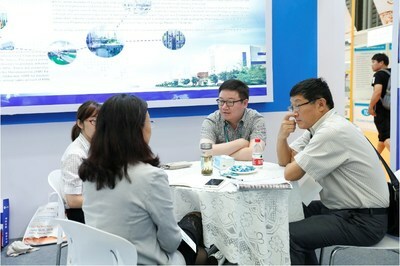 Chinese and overseas customers who went to our booth to negotiate on injection and API export were in an endless stream during the exhibition. We have already booked the stand for next year." 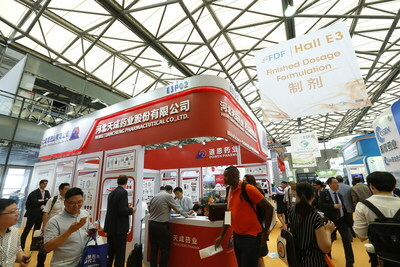 Depending on the powerful brand appeal of CPhI, FDF China 2019 will not only offer business opportunities for the API and preparation industries, but also gather Chinese and overseas top brands, global governments, and relevant medical institutions, to render enterprises fully in step with the international pharmaceutical trends. 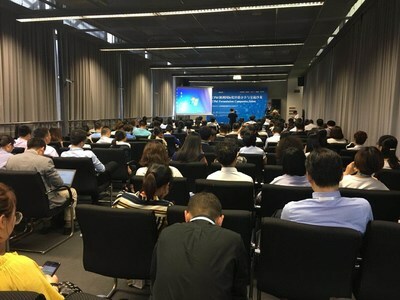 There will also be many conferences and activities concurrently with the exhibition, relating to the theme of internationalization of preparations, to share about the international pharmaceutical policies and enterprises' foreign trade strategies and accelerate the internalization of Chinese pharmaceutical industry. 2019 Award for Top 100 Internationalized Companies will be based on indicators of product export, international registration, overseas M&A, international cooperation, and overseas R&D, etc. and committed to increasing the international recognition and influence of enterprises, in order to establish industry benchmarks for international strategies of Chinese pharmaceuticals. CPhI International Agencies Updates and Q&A Session will gather experts from National Medical Products Administration of China, Chinese Pharmacopoeia Commission, Center for Food and Drug Inspection of NMPA, World Health Organization, Delegation of the European Union to China, U.S. Food and Drug Administration, European Directorate for the Quality of Medicines & HealthCare, etc., to analyze recent dynamics of drug regulatory policies, laws and regulations. CPhI Formulation Companies Salon will gather leading preparation enterprises, and via their information and experience sharing, analyze new trends of preparation internationalization, to offer quality references for exporting preparations to overseas markets. 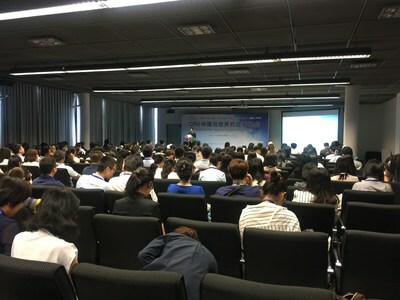 Visit the exhibition website http://www.cphi-china.cn/fdf/en to join us in the annual event of pharma preparation in Asia!